“Laura in China: LO.LA.PI.CHIO.TI. That’s how they pronounce my name according to Chinese phonetics. The ideogram of my name, translated, literally means hard work, a love of flowers, competition, pride, elegant woman. It is a colorful and perfect synthesis of my personality. An old edition of Marco Polo’s book “Il Milione”, took me as a child to the remote and inaccessible corners of China. This far-away land remained hidden at the back of my mind, even through Bernardo Bertolucci with his film “The Last Emperor” evoked more modern images of this mysterious land. 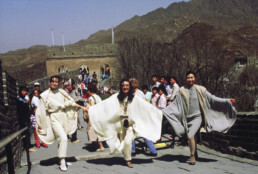 In 1987, during a trip to Japan, my husband Gianni and I decided on the spur of the moment to take a detour to Beijing for an extended weekend. 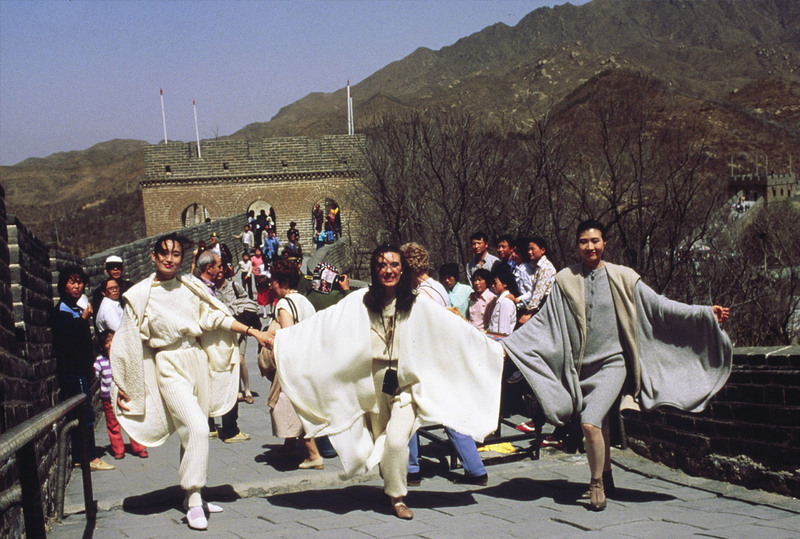 China was emerging from the anonymity of the masses and people began expressing their individuality through their clothes. I thought I would like to present Italian fashion – my fashion – in that remote country from which I had been importing fine cashmere yarn for years, which won me the title of “Queen of Cashmere”, which was given to me by the New York Times. Many magical things have occurred in my life. Therefore, on April 25, 1988, I presented the first Italian fashion show in the People’s Republic of China, with a television audience of 200 million Chinese. It was a marvelous adventure. 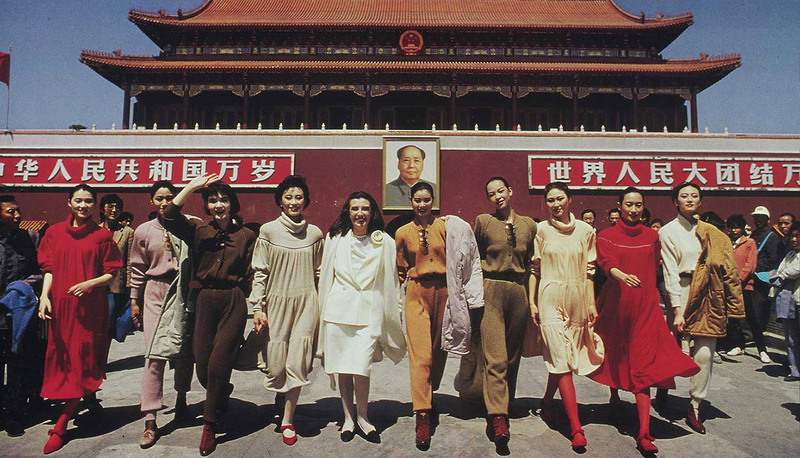 I recall the enigmatic smiles of the 20 elegant, sinuous Chinese models who wore my clothes; the fashion photo shoots amidst an amused, curious crowd under Mao’s portrait on Tiananmen Square and in the Forbidden City; and the visit to the home of the brother of the last emperor Pu Yi, the last representative of the Ching Dynasty. The Chinese fashion show was a present I gave myself in a moment of reflection that turned out to be a fundamental episode in my life”.